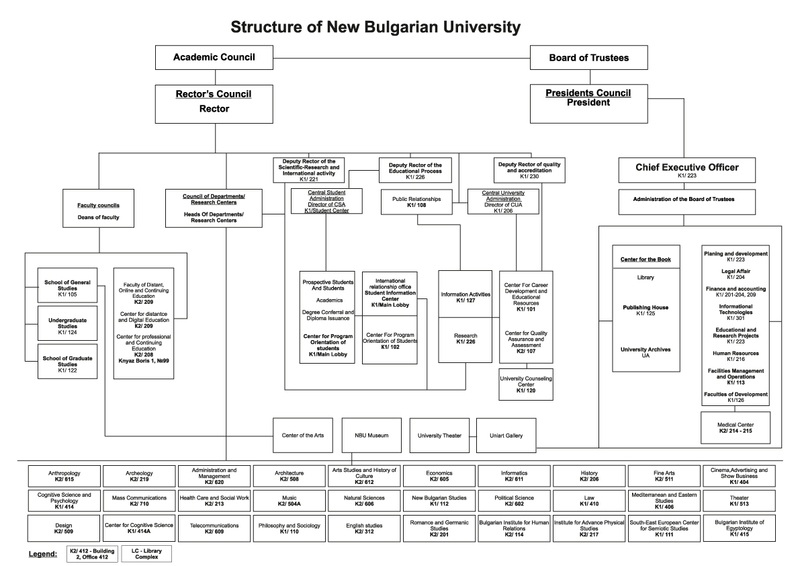 New Bulgarian University was established on 18 September 1991 with a resolution by Bulgarian Parliament. The National Evaluation and Accreditation Agency, which reviews Bulgaria’s higher education teaching, granted NBU maximum accreditation in three consecutive accreditations in 2001, 2006 and 2012. Since 2004, NBU is an accredited partner of the Open University UK. New Bulgarian University pioneered the introduction in Bulgaria of a credit system, Professional Bachelor’s, Bachelor’s and Master’s programs, distance and continuing education. The list of NBU Honorary Doctors and Honorary Professors include individuals of international renown such as Richard Rorty, Vera Mutafchieva, Julia Kristeva, Jean-Pierre Vernant, Milcho Leviev, Robert Young, Raina Kabaivanska, Lord Ralf Darendorf, Terry Eagleton, Geert Hofstede, Daniel Libeskind, Ennio Morricone etc. The mission of New Bulgarian University is to be an autonomous liberal education institution dedicated to the advancement of university education by offering accessible and affordable opportunities for interdisciplinary and specialized education and research of high quality. Bringing its academic potential to the service of society, the University prepares its graduates for the challenges of modern democratic life cultivating critical and creative thinking, sensitivity to cultural difference, and problem‐solving. NBU provides a liberal arts education in which acquisition of knowledge and professional skills is integrated with spiritual and ethical values.